I’ve listed 15 animal novels in this second post about our favourite animals books, ranging from classics like Williamson’s Tarka the Otter to the contemporary like Jiang Rong’s Wolf Totem. As before, books highlighted by two respondents are marked with an asterisk, and by three or more respondents with a double asterisk. Quotations from the books are within double inverted commas, a quote from the publisher or a book review is within single inverted commas, and a comment from one of the respondents (or my own occasional remarks) is without any inverted commas. Wolf Totem, by Jiang Rong (English edition: translated by Howard Goldblatt, Penguin, 2008) Reveals the intelligence of the wolf, its uncompromising nature and how, as a spirit animal, it shaped the great Mongolian nation. Contains some biological errors. It is perhaps best thought of as a semi-biographical novel describing the wolf-nomad relationship as recounted by Inner Mongolians prior to their settlement and loss of nomadic culture. *A Sand County Almanac, by Aldo Leopold. (Oxford University Press, 1949) A classic of nature writing, mixing essay, polemic, and memoir to elaborate a land ethic that is based on a balance of nature. One respondent remarked: I read Aldo Leopold’s A Sand County Almanac and the accompanying Round River at least once a year (I have a volume falling to bits). Another considered this to be one of the best books ever written. Grey Owl: Three Complete and Unabridged Canadian Classics, by Grey Owl. (Firefly Books, 2001) A favourite that influenced me as a boy is most of Grey Owl’s adventures in Canada. I remember especially how he came to a stand of ancient trees and remarked how rare that is – even more so now! His understanding of beaver is excellent and relevant today. Next postings will list Zoological and Children’s animal books. Let me know if you have an all-time favourite! 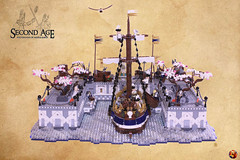 Martyn is a writer, sailor and conservationist. 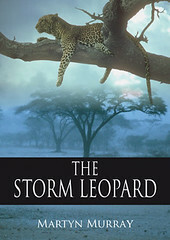 His first book, The Storm Leopard, is a journey across Africa and into the heart of the environmental crisis. His second book, Origin of Species: Bite-Sized, contains the essence of Charles Darwin's greatest work - his theory of evolution by natural selection - in a text that is 15% the length of the original. His third book, Beyond the Hebrides, is the story of a sea voyage in an old leaking boat beginning in an Irish creek and ending on the remote islands of St Kilda in the west of Scotland. It is a tale of romance and adventure which arises from one man's exploration of practical ways to keep personal freedom alive in today’s demanding society. 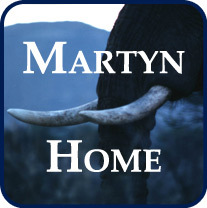 Visit Martyn's website at www.martynmurray.com. Martyn was born and brought up in Ayrshire, Scotland and now lives in North Berwick. He went to school in Perthshire, and studied at the Universities of Edinburgh, Zimbabwe, Malaya and Cambridge for degrees in Zoology with field research into: shelduck along the Scottish coast; impala in the Zambezi Valley; wild figs and figwasps in the Malaysian forests; and wildebeest migration in the Serengeti. This work was underpinned by theoretical investigations into competition, conflict and social behaviour. Martyn is a consultant in biodiversity and natural resources management. 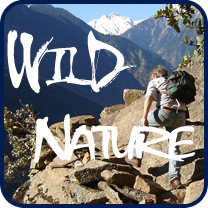 This entry was posted in Nature Books, Writing. Bookmark the permalink. Call of the Wild, by Jack London (Macmillan, 1903) The plot concerns a previously domesticated dog named Buck, whose primordial instincts return after a series of events leads to his serving as a sled dog in the Yukon during the 19th-century Klondike Gold Rush, in which sled dogs were bought at generous prices. The Silver Darlings, by Neil Gunn (Faber & Faber 1941) The Highland people have been uprooted from their traditional lifestyle of crofting by the clearances and have re-established themselves by the sea, which they harvest as once they did the land. They slowly develop a bond with the sea… This is a novel brimful of what Finn’s mother calls ‘the sweetness of life’. Serengeti shall not die—but how? Tropical Rain Forests – Wonders of the World or Service Providers?